Do you have a question or enforcement concern about a City ordinance? You can contact the Racine Police Department below and a staff member will get back to you as soon as possible. Respond in a proactive manner to developing legal issues and effectively represent the City's interests in administrative proceedings, litigation, contract matters, eminent domain matters, and all legal matters for which the City Attorney's Office bears responsibility. The City Attorney staff cannot advise citizens on individual legal rights. To review all Committee, Board and Commission reports submitted to the Common Council and prepare necessary Resolutions for action by the Common Council. To construct additions and changes to the Municipal Code as directed by the Common Council with due regard for legal and ethical obligations. To advise and/or counsel all Committees, Boards, Commissions, Administrators and agents of the City on proceedings and issues with due regard for legal and ethical obligations. To represent or coordinate representation of the corporate body of the City of Racine in all legal proceedings, whether at the federal level, state level, local level, administrative level, regulatory level, or before other bodies having jurisdiction. The City Attorney's Office shall provide effective legal representation to its client-- the corporate body of the City of Racine. 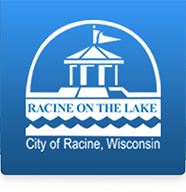 To serve the members of the general public in a manner that does not conflict with the best interests of the City of Racine. To treat all persons in a dignified and respectful manner without discrimination and without regard to economic or political status. To file a claim against the City download the following form and deliver it to the City Clerks Office. Wis. Stat. 170.07 and 170.08 If a person finds money or goods having a value of at least $25, and if the owner of the money or goods is unknown, the finder shall, within 5 days after finding the money or goods, give a written notice of the found money or goods to the Racine Police Department. The Racine Police Department shall post a notice of the found money or goods in 2 public places in the city if the value is less than $100. If the value is $100 or more, the finder shall within 15 days after finding the goods cause a class 2 notice under ch. 985 of the found goods to be published in the county. If no person who is entitled to the goods appears to claim the goods, the finder shall, within 2 months after finding the goods and before using the goods to their injury, procure an appraisal of the goods by the Racine Police Department. The appraisal shall be certified by the Chief of Police and filed in the office of the Chief of Police. Wis. Stat. 170.09 If the owner appears within 90 days after notice is given to the Racine Police Department under s. 170.07 or 170.08 and proves his/her ownership, he/she shall have restitution upon the payment of all the costs and charges on the money or goods, including a reasonable compensation to the finder for the finder's trouble. Wis. Stat.170.10 If no owner appears within 90 days after notice is given to the Racine Police Department under s. 170.07 or 170.08, the finder shall be the owner of the lost money or goods. You have 120 days (about 4 months) from when the incident occurred to file a "Notice of Circumstances" with the Office of the City Clerk, 730 Washington Avenue, Racine, WI. 53403. The "Notice of Circumstances" must list when the incident happened, where it happened, and the people or objects involved. You should read section 893.80 of the Wisconsin Statutes for additional information about this process, or contact your insurance agent or attorney. What is the Noxious Weeds rule? Who should I call to report a defective parking meter? What do I do if I have a City of Racine Parking ticket? Note: Only the registered owner of the vehicle can contest a parking ticket, although the actual driver may accompany the owner to all Court appearances. If you have questions regarding this citation, please call 262-635-7750. Failure to pay within 14 days of issue date will result in additional penalties. The Wisconsin Department of Transportation will suspend your vehicle registration and refuse registration of any of your vehicles if you fail to pay or contest this ticket within 42 days from the issue date. Late fees will not be added after a "Pre-trial Conference" has been scheduled, but failure to appear will result in the immediate assessment of all late fees. Suspension of vehicle registration(s) will remain in effect until either the full payment of the citation or you have appeared at the "Pre-trial Hearing." You must appear in person at the "Pre-trial Hearing", and cannot do this by a letter. At the Pre-trial Hearing you will have the opportunity to discuss the circumstances of the ticket, and to determine whether you will need a Trial. Not all cases go to a Trial. If you require an interpreter or other accommodation, you must notify the Municipal Court Clerk at least 7 days before your court date. Failure to appear at your court hearing date or Pre-trial Hearing date may result in a default judgment against you, which may include a money forfeiture, Driver's License suspension, vehicle registration suspension, or the issuance of a Commitment for your arrest. You may have an attorney help or represent you at any time, but you are not required to do so. The Public Defender's Office does not get involved in this type of case. What is the Wisconsin Driver's License point system? Visit the Wisconsin Department of Transportation FAQ page for further information. How can I pay for my citation/ticket? You can pay your ticket by mail, drop box, in person, or online. For further information, visit the Racine Police Department Parking Ticket Payment page. Where can I find "Street Storage" and other parking rules? See Chapter 94 of the Racine Municipal Codes . Who should I call about my neighbor's house when it needs repairs? Visit the Building Inspector's page, or call their office at (262) 636-9464.